Laura Jane Grace (formerly known as Tom Gabel) started Against Me! in 1997 as a solo act at the age of 17. She would only occasionally perform with support from drummers and/or bassists. This period in the band was marked by playing guerrilla shows in a college apartment complex laundromat, emphasizing the D.I.Y. sentiments of their work. Gabel self-released one demo tape, officially entitled Against Me!, but more commonly known as Tom's Demo. While copies of the cassette itself are extremely rare, internet file-sharing programs have helped to circulate the songs amongst fans. After Crime, a four-song acoustic 7" was released. While technically untitled, the album is most commonly referred to as The Acoustic EP. It has since been re-released as a CD-EP with two extra songs. It contains no electric guitar or drums; only Gabel's acoustic guitar and bass by Dustin Fridkin. It is widely considered one of the band's definitive releases. Shortly before recording Disco, Against Me! 's lineup changed once again. Fridkin left the band, and was replaced on bass guitar by Andrew Seward. This lineup of Gabel, Oakes, Bowman, and Seward has remained constant since. Interestingly, the common set-up of the band at live shows features Gabel (the chief vocalist) stage right, while Seward takes center stage. 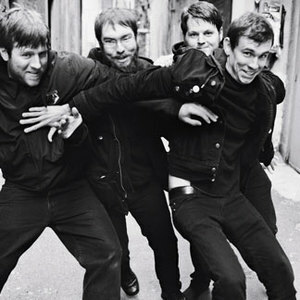 Their second full length album, As The Eternal Cowboy, was released on popular punk label Fat Wreck Chords. Though many fans welcomed the opportunity of increased exposure for the band, some older fans and those with anarchist sensibilities themselves were less pleased. Some even considered the band sell-outs, claiming that the band had gone against ideals formerly expressed in their music, such as a DIY ethics and a anti-capitalist stance. Ironically, Gabel describes the album as sounding "more punk." This album also marked the release of their first single, Sink, Florida, Sink. The divisive effect this record had on their fan base became the topic of their next release, a DVD called We're Never Going Home, a title derived from the song Slurring the Rythyms. On June 7, 2010, Against Me! released their second record with Sire, White Crosses. Fan reception has been mixed. Also in 2010, George Rebelo was replaced as drummer by Jay Weinberg, initially on a temporary basis. The appointment has since become permanent. In May 2012 Gabel publicly came out as transgender, having dealt with gender dysphoria since childhood. Gabel plans to transition to living as a woman by taking hormones, undergoing electrolysis treatments, and eventually taking the name Laura Jane Grace.